I've long held that good code is like poetry (and I'm far from the only one). Everything should have a purpose, and if you ever repeat yourself, there should be a good reason. 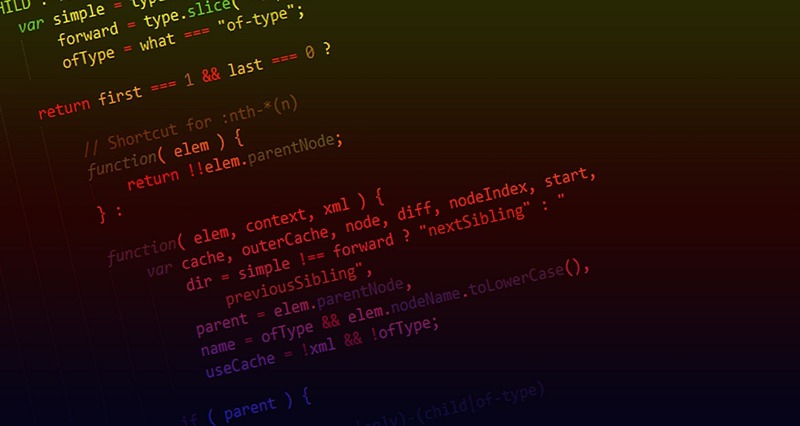 With various high-level coding languages, you can enable or even automate incredibly complex tasks with relatively little effort, and it's done by building on the foundations of lower-level machine languages, mid-level operating systems. And since all that work has already been done, programming for a high-level language should feel a little like playing golf. I have all of these set tools at my disposal, now how do I get to the goal with the lowest number of moves? One of the things I've seen consistently in new programmers, and something I observed in myself when I first started dabbling, is a misunderstanding of exactly how useful arrays can be, or even how to use them effectively. Or objects, and even other arrays. Most textbooks and classes will also tell you that you can iterate through all of these elements to analyze or manipulate the data. But, despite a very accurate and broad definition, that doesn't begin to touch on the core concept behind why grouping these elements is important, and what exactly they can enable. Let's start more simply and get larger as we go. Then we would end up with something completely different, making something possibly unique with a preset grouping of data. The game has combat, dynamic histories for encountered enemies, random weapons, quests, and a leveling system all built around arrays and random access to them. But as a concept, random access only has limited use on an everyday basis outside of small subsets of programming like encryption work. But that's still not everything you can do. We recently implemented stronger password security in our business, and part of that came down to a password rating system. A few years ago, I probably would have hardcoded my tests and just run them one at a time by calling them the traditional way, but if you think about it, wouldn't it be better to build an array of functions and run them sequencially, allowing the rules to be dynamic and easily changed over time? And you don't have to name your functions if you're comfortable using anonymous ones. With this approach, a semi-random number generator, and some conditional logic, you can put together a basic AI relatively quickly. Here at Armor, we use arrays for just about everything. If you see a piece of code without a loop of some kind over something we've pulled from the database, you're either looking at a static page or a relatively minor piece of our framework. We use arrays for passing back search data, for analyzing visitor statistics, for importing and converting old database schemas, building out navigation trees to search them for bad links, file browsing, and so much more. And I think that's the disconnect. On its own, a grouping of data is relatively useless, but by linking that grouping to an access or manipulation concept, like looping, random, or indexed access, it opens a lot of fundamental doors that aren't inherently obvious when the concept behind an array is explained. And that seems to be where most people I'm interviewing get caught up. Arrays and Loops as concepts are not important on their own, they are foundational. They are tools that allow us to build much more complex functionality on top of them.